•	There's no more manual picking and choosing to start your rewards. You'll start earning available rewards as soon as you buy a qualifying item and enter your mPerks ID at checkout. •	You'll always be able to see how close you are to earning your next reward. And, when you enable notifications in the app, you'll be alerted whenever you start and earn rewards. •	Continue to enter your mPerks ID each time you check out and you'll automatically be notified at the register when rewards are ready to redeem. Just claim them right there - no manual clipping. 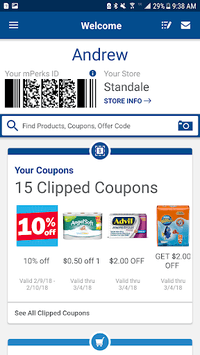 Easily find and redeem coupons. Add Weekly Ad items to your Shopping List. Items easily viewable on Shopping List to make your trips go faster in store. 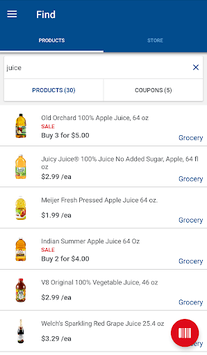 View this week’s sales on your phone + find a Meijer closest to you. A fast and easy way to log-in. 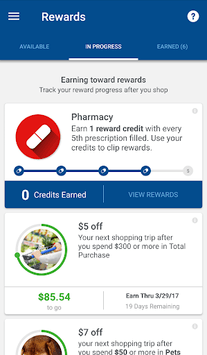 The Meijer Mobile App is everything you need for your shopping trip at your fingertips. Easily order photo prints from your phone and pick them up in store. We've made some minor tweaks and bug fixes to make a better experience for you!